This past Thursday night one of the smallest venues in Nashville hosted one of the biggest names in Canadian country music. 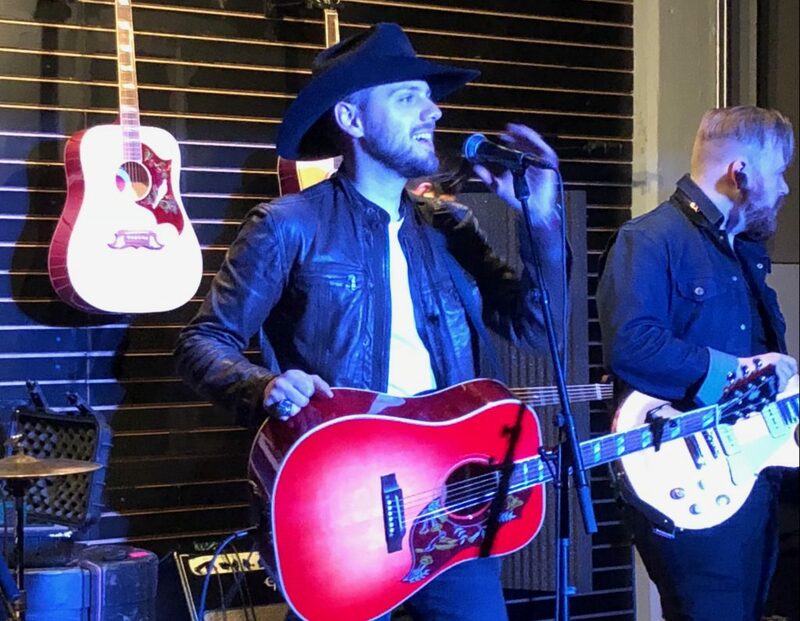 Canadian Country Music Association ‘Male Vocalist of the Year’ Brett Kissel hosted a free concert for fellow musicians, fans and media at local underground club, The Basement. The event celebrated last week’s release of Kissel’s latest album “We Were That Song”, and it’s current single, the title track. Commonly referred to as the Garth Brooks of Canada, Brett Kissel proved to a crammed-in audience that he deserved such recognition. Packed full of energy Kissel ran through several of his hits as well as some of his favorite covers. He was extremely humble and kept the crowd engaged throughout his performance. Everyone had a good laugh when Kissel asked the audience to join him in a “sociable” and nobody knew what it was. Is that a Canadian thing? What do you all say here?” he exclaimed before learning that in Nashville, where he now resides, we say “holler and swaller” to toast. Through the span of his career, Kissel has tossed 10 singles on Billboard’s Canadian Top 10, most of which he had a hand in writing. His accolades include 10 CCMAs and a Juno Award (Canadian equivalent to a GRAMMY) He is also the only artist in Canada to have toured with country legend Garth Brooks. Kissel himself is currently headlining his own tour throughout Canada. Grab Brett Kissel’s latest album “We Were That Song” and find tour dates on his website brettkissel.com. Keep up to date with all things Brett Kissel on social media- Facebook, Twitter and Instagram.